Here at Denby Dale Coffee, we are an authorised dealer of the best-known bean to cup manufacturer in the world – Jura Impressa. Engineered in Switzerland, the our Jura coffee machine range offers a wide choice of commercial bean to cup coffee machines, which are simple for the operator to use and to clean. Jura coffee machines offer a daily output capacity from 30 to 200 cups per day, all have large integrated water tanks and most of the larger models can be plumbed into the water mains, which our Jura Engineers will do during installation. BENEFITS OF BEAN TO CUP MACHINES Easy to operate - simply push a button to dispense your drink All coffees and cappuccinos will be prepared to a high standard Each drink only takes around 40-50 seconds – ideal for when your staff are busy serving customers. 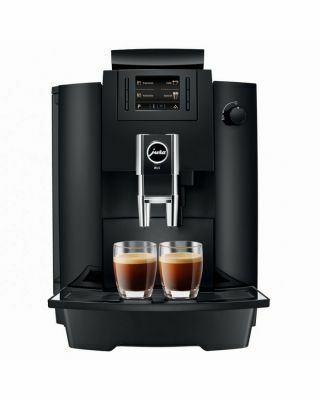 ABOUT JURA Jura Impressa of Switzerland is a global-leading manufacturer of coffee machines; both commercial and luxury home use domestic coffee makers. 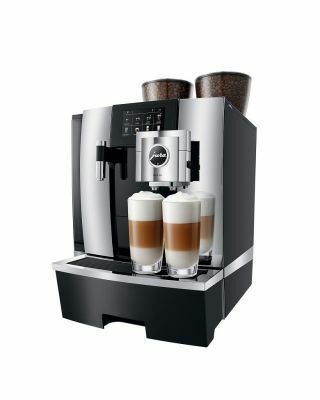 Along with a long heritage and a reputation of design excellence, Jura has vast experience in this field, manufacturing over 3,000,000 coffee machines to date. Look out for the recommended approximate number of drinks that can be dispensed per day. This is usually a maximum daily average. It's worth pointing out that the machine will keep dispensing coffees beyond the recommended daily figure if you have a particularly busy day. It's more of a guide to help customers establish the right machine for their site. 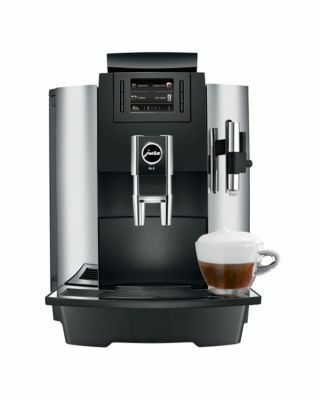 Often a bigger coffee machine is purchased with an added benefit of more drink options. 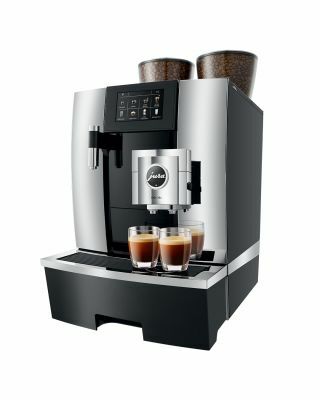 Jura XS9, which is a one-touch latte / cappuccino machine designed for up to 75 coffees per day, comes with a built-in 5ltr water tank, so no engineer install or plumbing is required. The latest medium used machine and one of the best sellers in the popular Jura XJ9 which features LCD display and an amazing fine milk foam maker – plus, it can make up to 100 drinks per day. Latest Jura Impressa machines is the Giga range which comes in 4 options, the Giga X3, Giga X7 the Giga X8 SPEED and the Giga X9. Featuring powerful new technology by Jura, each machine has a daily capacity of 200 drinks a day, and will also dispense 2 milk-based drinks simultaneously. Featuring a TFT display for easy navigation, the Giga range is self-cleaning, reliable and dispenses a great cappuccino with silky fine foam. Denby Dale Coffee Ltd is an authorised UK distributor for Jura. This means you will receive a genuine product, backed up with excellent service and warranty.